A Mountain Ridge Middle School teacher has been placed on leave following viral comments on social media. 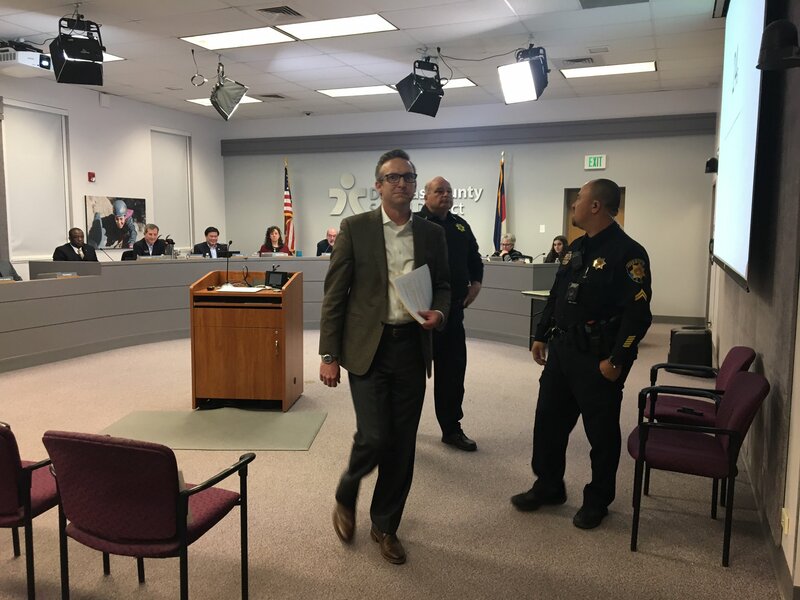 DOUGLAS COUNTY, Colo. -- A speaker was escorted out of a Douglas County School Board Meeting after his remarks about a teacher's viral post on social media. She is accused of sending a tweet to a Kentucky student that said he was training to be part of the "Hilter Youth." Grissom was referring to an incident in Washington, D.C. involving a Catholic high school student and a Native American activist. "(She) went out of her way to go after a child. That to me is full fledged bullying, that's all that she did. She bullied that child try to get her point of view across, that he was a Nazi in training," said Brad Wann, a parent who said he was not allowed to speak about the issue at the school board meeting. The board met Thursday night for a regularly scheduled meeting but would only take public comment about issues that were on the agenda. One speaker went to the podium and began to discuss the district's social media policy. He said, "Here we are a community incensed by a teacher’s social media posts, nobody wants to be here discussing this but no matter how uncomfortable, we must confront this." As soon as he mentioned the teacher's name, board members and the president interrupted him stating it was a personnel issue. The man was escorted out of the room by several officers. A spokesperson for the district said she could not answer any questions about the meeting.